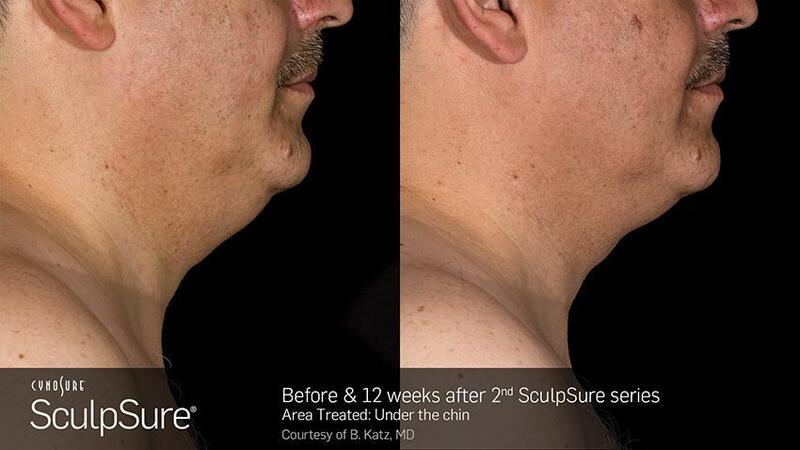 SculpSure is the answer for those stubborn areas that no amount of diet or exercise will make it go away. This non-invasive procedure is an FDA-approved body contouring treatment designed to permanently reduce persistent fat in common treatment areas: the abdomen, flanks (love handles), back, neck and inner and outer thighs. This safe, cutting edge technology uses precision laser energy to superheat the fat cells beneath the surface of your skin. The laser energy penetrates your fat cells, disrupts and damages their durability which interferes with their ability to function. In the weeks following the treatment, the lymphatic system targets the damaged fat cells and naturally flushes them out of your body. As a result, achieving a tighter, slimmer appearance to those stubborn areas. SculpSure is a body contouring system designed to get rid of the love handles, muffin tops, lower belly fat, and excess thigh fat that are unaffected by diet and exercise. 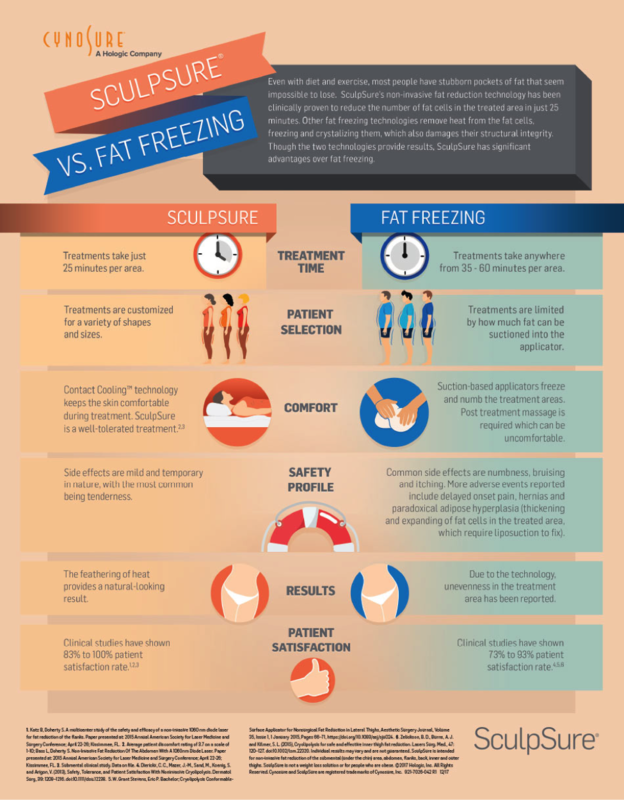 SculpSure is not a weight loss treatment, it is an aid in the weight loss journey. The process begins with an initial consultation to discuss aesthetic goals and expectations. Together we will develop a treatment plan to achieve these goals. The treatment itself is 25 minutes of laser heat applied to the problem area. During treatment you may experience mild tingling sensations. Most patients do not find the treatment to be bothersome. 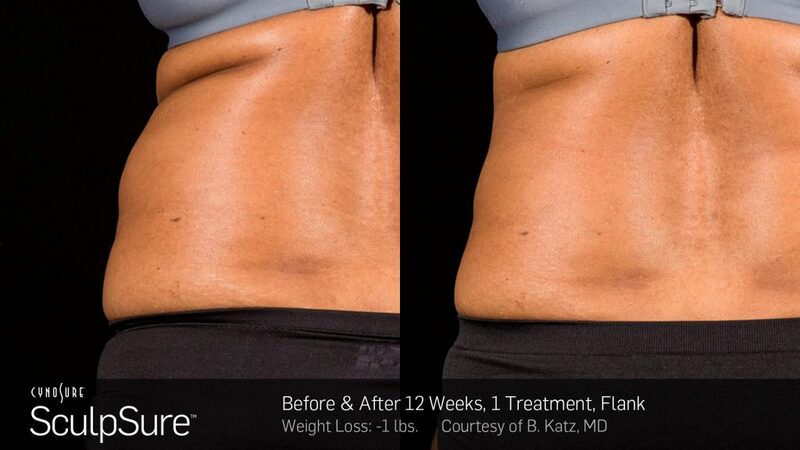 Results improve with each SculpSure session. SculpSure is easy to fit into any busy schedule. 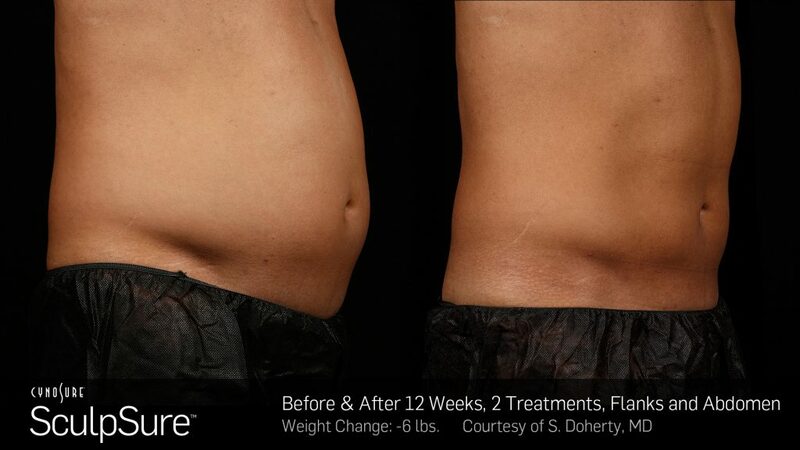 SculpSure is a non-invasive, non-surgical fat reduction treatment that will have you losing inches with no down time!